You must be a member of the Malta History and Architecture Group to attend this activity. Would you like to join this group? Did you know that back in the time of the knights the easiest way of getting into Valletta was through Porta Marina? This single arch gate was in the time of the British replaced by what we know as the Victoria Gate. At the time, this area of Valletta, better known as the Ta’ Liesse area was one of the busiest parts of Valletta. Ships used to berth close by, bringing produce from Italy and Gozo, and the shops which lined Marina Street used to be a hive of activity, with wholesalers supplying the other shops in Valletta. Although still a shadow of its past, today this area is slowly being regenerated. Tucked away from the busy streets of Valletta, the Ta’ Liesse area contains an array of baroque buildings, palazzos and extensive fortifications built by the Order of the Knights. 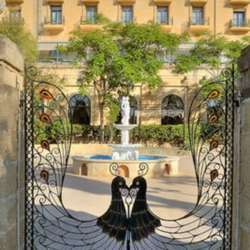 So if you are interested in Malta’s cultural heritage and architecture, why not join us on our educational Sunday Tour. The tour will focus on interesting aspects of traditional construction features, practices in historic and current urban heritage planning and examples of different buildings typical of the time when they were built amongst others. The tour is led by professionals in the field of Heritage Planning and Conservation. Places are on a first come first serve basis. A €3 fee will be charged per participant. The fee will be donated to Malta Autism Centre.